The truck accident lawyers at Burns & Jain have extensive experience handling accident cases involving serious injuries and death as a result of the negligence in the driving of large trucks. We have represented victims of truck accidents on highways, on small road, and in intersections. The consequences of these types of accident can have a serious impact on victims and their loved ones, both physically and emotionally. We understand that these situations require sensitivity and determination to effectively recover damages from the negligent persons responsible for your injuries. We will work tirelessly and diligently on your behalf to recover compensation for your loss, which may include medical expenses, lost wages, pain and suffering, loss of consortium, and more. 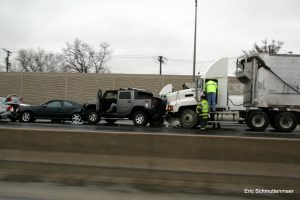 With a score of major highways connecting Boston to the rest of Massachusetts and the New England region, truck accidents occur all too frequently. Our Boston truck accident lawyers know trucking laws and understand the regulations, laws and rules of the road that are meant to keep our roadways safe. Limit their hours on the road. Complete logs of the hours they drive per day. Pass randomized drug and alcohol tests. Adhere to an array of safety standards that do not apply to general drivers. We use experience and thorough legal knowledge, coupled with our resources, to build your tractor-trailer crash case. Truck drivers are also required to perform a pre-trip inspection so that when a truck driver turns the ignition key , they are doing so with the belief that everything is safe. The pre-trip inspection is to detect problems before the rig gets on the street. If they fall short, each and every car they pass is at risk of an accident. In most truck accident cases, there are numerous potential defendants. The person at fault may certainly be the truck driver himself. There is the company that owns the truck. There is often a company that leases the truck. When there is an overloading issue, there is the company that loaded the truck. 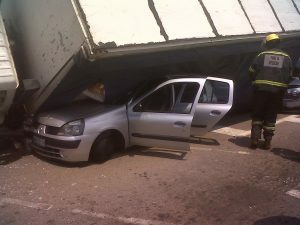 Will My Truck Accident Case Go To Trial? While most cases do not get trial, many go through the stages of litigation that are necessary to show both sides exactly what they could prove should the case go to trial. Victims should not feel that they are being victimized a second time, and a good advocate will be caring and explain the process. He or she will also be experienced enough to be aggressive and secure the necessary discovery to put the client is the best possible position to settle the case; or, if necessary, to be comfortable testifying and getting the case resolved. Choose attorneys that know how to handle truck accidents specifically; I have represented victims of serious truck accidents for over two decades. These cases are distinct from other types of claims. Choose attorneys that understand the difference these distinctions make to you, your family and your case. We can help you with your claim. Call us at 617-227-7423 or to contact us by email to get started with your free initial consultation.